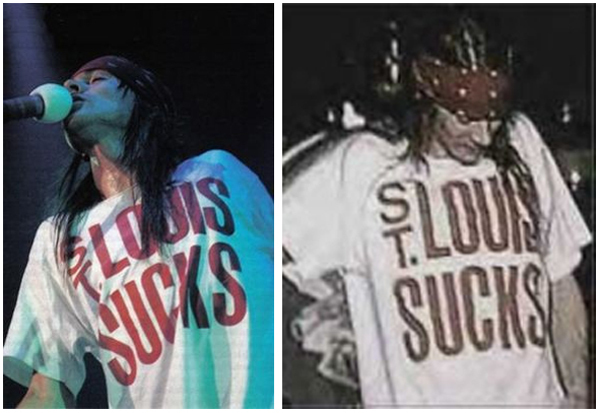 On July 2, 1991, Guns N’ Roses played at the Riverport Amphitheater in Maryland Heights, Missouri, just outside of St. Louis for a “Use Your Illusion Tour” stop. 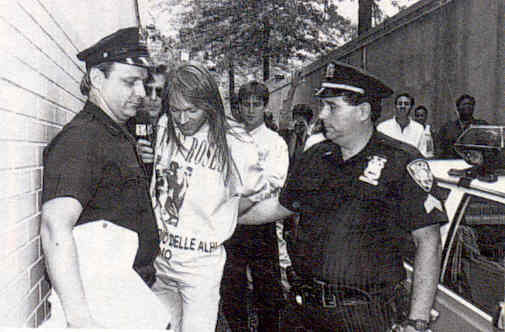 Here’s a few photos of Axl Rose that night before all hell broke loose. He then slammed his microphone on the ground and left the stage. The angry crowd began to riot and dozens of people were injured. 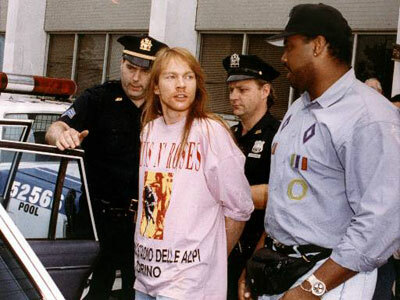 Rose was charged with having incited the riot, but police were unable to arrest him until almost a year later on July 12, 1992 when U.S. Customs officials apprehended him at JFK International Airport for the St. Louis County warrant. Here are some photos of his arrest. 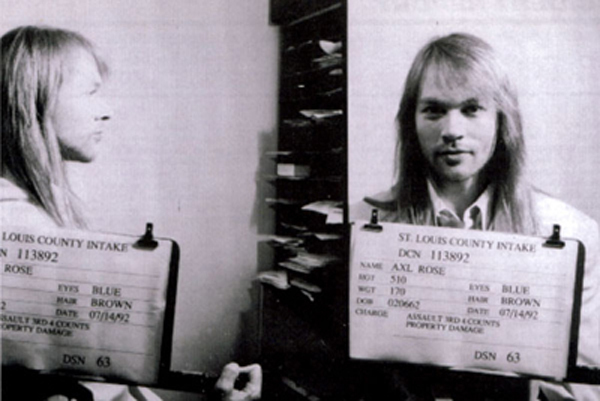 Here’s Axl’s mugshot taken two days later on July 14, 1992 at the Saint Louis County Intake. 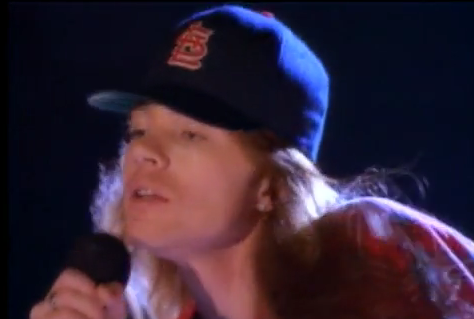 Axl even sarcastically wore a St. Louis Cardinals baseball hat for a quick second in the “Don’t Cry” and then burned it.